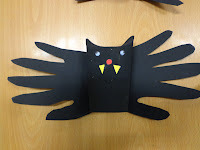 This year for Halloween we are making Bats. 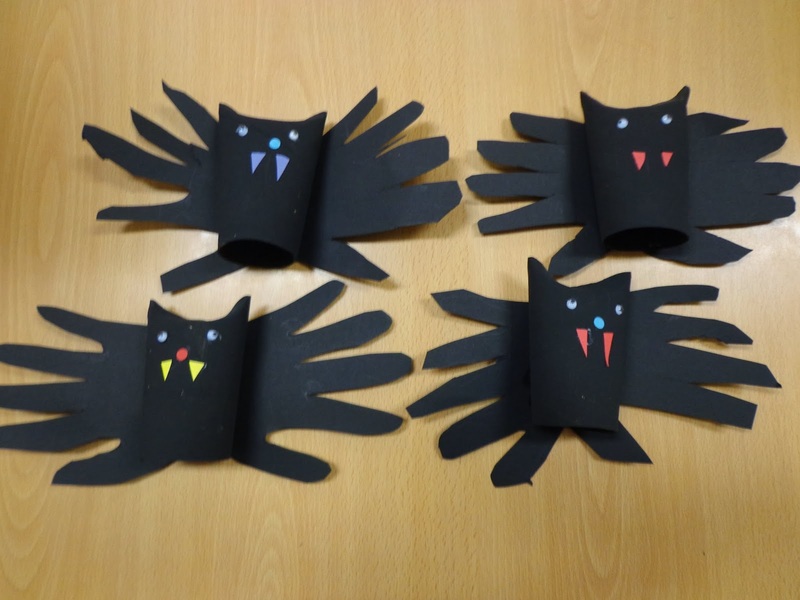 The children painted TP rolls Black. Then they traced their hands onto black paper and cut them out. They glued and decocated their bats and took them home to spook their parents!